Some graffiti is interesting, thought provoking, and requires talent – it’s a form of art. 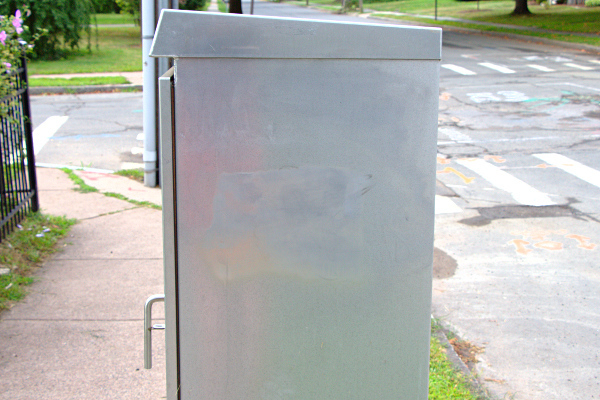 We don’t find artwork on the silver MDC box in our front yard. 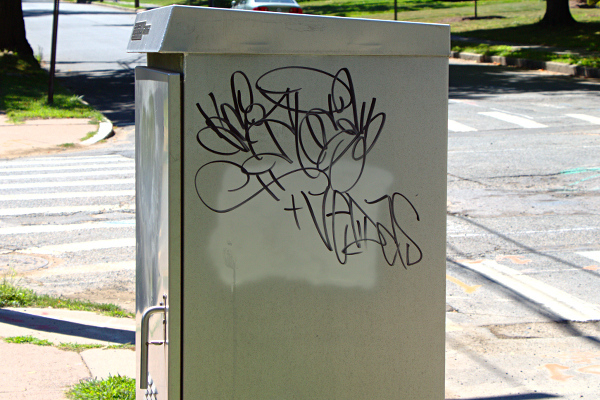 No, the tags we regularly see are just vandalism. For a while there was an individual called “Shot One” who marked up our box, and other boxes in the area. Not sure what happened to him, but now there is a new tag that I have yet to decipher. Rather than putting in another request via See Click Fix to have the City come deal with it, I took a ride down to the home improvement super center to investigate my options. They had two products advertised for graffiti removal, so I got one of each to see how they would work. First up was Mostenbocker’s Lift Off Spray Paint Graffiti Remover. It did a very nice job. I sprayed it onto the box and the paint started to dissolve almost immediately. It was very easy to wipe the paint off with a rag. It worked so well, in fact, that it began to remove the silver paint that had been used to cover the previous tag. The next step in our anti-graffiti effort is to continue treating the older paint to see if it can all be removed down to the original finish.